GMC sold more than 700,000 GMC Terrain models since the sport utility vehicle’s introduction back in 2009. That would qualify as a resounding success, and now the American automaker is back with an all-new generation unveiled at this year’s North American International Auto Show in Detroit. 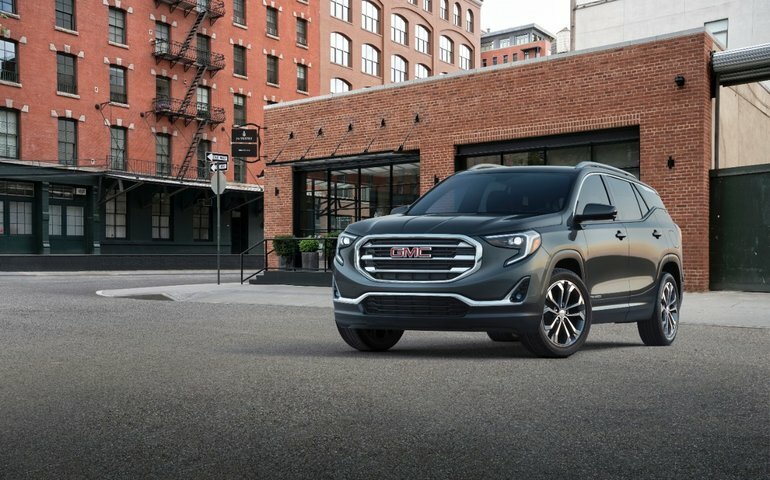 The all-new 2018 GMC Terrain has a new and bold design, plenty of tech and connectivity features, and a host of engines that are both fuel-efficient and powerful. 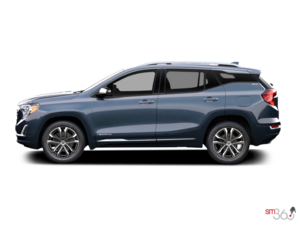 Buyers interested in the 2018 GMC Terrain are sure to find exactly what they are looking for thanks to a choice of three engines starting with the base 1.5-liter four-cylinder turbocharged engine that delivers 170 horsepower and 203 lb.-ft. of torque. This engine will be paired out of the gate with a nine-speed automatic transmission. Next up is a 2.0-liter, inline four-cylinder engine that delivers 252 horsepower and an impressive 260 lb.-ft. of torque. Again, this powerful engine comes standard with a nine-speed automatic gearbox and is sure to impress both in terms of overall power as well as capability. The 2018 GMC Terrain is also available with an all-new 1.6-liter turbocharged diesel four-cylinder engine that should quench your thirst for torque. Offering 137 horsepower and 240 lb.-ft. of torque, it should prove to be as powerful as it is fuel-efficient. Unlike its gasoline counterparts, the diesel unit is paired with a six-speed automatic gearbox. The GMC Terrain will be available with all-wheel drive, and four distinct driving modes allow the driver to adjust the sport utility vehicle’s driving dynamics to your liking. With its bold new design featuring muscular lines, distinctive headlights and C-shaped LED accents, the 2018 GMC Terrain will certainly stand out in the crowd. Inside, buyers get plenty of connectivity technology starting with the addition of Apple Carplay and Android Auto which creates a seamless connection between your mobile phone and your Terrain’s infotainment system. The new Terrain also gets plenty of driver assistance technologies that include Adaptive Cruise Control, Blind Spot Monitoring, Automatic Braking, Driver Safety Alert, and a peripheral vision camera that greatly facilitates parking maneuvers. The new 2018 GMC Terrain will arrive on the market this summer. To learn more about the new Terrain which will be offered in SLE, SLT and Denali trims, contact us today at Bruce GM Middleton!